The second ICE HOT Nordic Dance Platform, or ICE HOT Helsinki 2012, was a winter festival that truly passed on the fresh fragrance of dance from the pure air currents flowing amidst the glaciers, truly representing "cold passion" and "fiery reason." In the sparkling snow covering the city with a pristine white blanket today, participating artists from around the world discussed the artistic soul, clear like ice and aloof like silvery snow, and worried over dance. The ICE HOT Nordic Dance Platform is a Nordic dance platform for dance professionals from all over the world, and it is an event that introduces Nordic contemporary dance to the world through superlative dance performances and showcases, forums, networking events, and a variety of other programs. Participants are usually dance companies from five northern European countries—Norway, Sweden, Denmark, Iceland, and Finland—and through the Nordic Council, these countries have a cooperative system for many sectors, including politics, society, and culture. ICE HOT is funded by organizations such as the Nordic Culture Fund, the Nordic Culture Point, and the Swedish Arts Council, and unlike a dance market where each dance company must acquire a booth, the festival is noteworthy in its support of a platform concept and natural exchange, going beyond commercialism. ICE HOT established itself as a fun, free-spirited festival from the outset, beginning with its name, which juxtaposes two diametrically opposed concepts, "ice" and "hot." 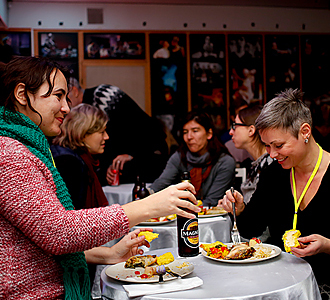 The festival, which opens every other year, had its debut in December 2010 in Sweden, and its second run from December 12–15, 2012 in Helsinki, Finland. At the first round in Stockholm, Sweden, there were 21 performances, 12 presentation performances, and 2 forums. In 2012 there were a total of 33 participating performance companies, and there were about 300 dance-related professionals from 41 countries, heating up the exchange. The third ICE HOT will be in 2014 in Oslo, Norway. This time around there was a special place for exchange and communication between Finland and South Korea, as the Korea Arts Management Service (headed by Jae-wal JUNG) reviewed the exchange program with Finland it has maintained over the past three years since 2010. 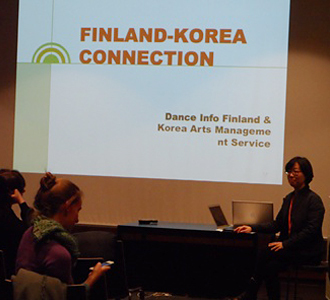 The Korea–Finland Connection Info Cell in the ground floor seminar room at the Kiasma Theatre on December 14, 2012, was a forum for dance professionals from both countries to discuss the perfect art of dance. Euna Im of the International Development Department at the Korea Arts Management Service, who participated as a presenter on this day, received particularly enthusiastic applause for her presentation, wherein she screened the dance activities of the two countries from the past three years. Through the portrayal of dancers forming a bond through movement, the screening seemed to truly authenticate, despite the language barrier, the sincerity of dance. Partners for this ICE HOT included Dansens Hus Stockholm (Sweden), Dansehallerne (Denmark), Dansens Hus Oslo (Norway), and Performing Arts Iceland (Iceland). It is a novel thought—filling the streets of the city, void of the people who have left the city on their Christmas holidays, with dance, almost in the vein of other European countries, who might attempt to hold onto vacationers leaving their country with summer festivals. It seems as though ICE HOT, in a similar way, is inviting dancers to the land of snow. Dance Info Finland, which oversaw this event, is a private aid institution in the dance sector, supporting domestic dance in any initiatives or endeavors abroad, producing and distributing learning materials with information on Finland dance, and advertising Finland’’s dance abroad. Moreover, it collects and publishes statistics related to dance and also functions as a consulting company. This ICE HOT lasted for four days, with about 5–8 performances each day and spread out over seven performance facilities scattered all around the city of Helsinki, including the Theatre Academy Helsinki, which also acted as a headquarters, Zodiak—Center for New Dance, the Kiasma Theatre, Media Centre Lume, and the Helsinki City Theatre. In these facilities there were three performances at the opening ceremony and 33 selected performances, leading to a total of 36 performances. Moreover, the countries that received a lot of attention at the event had presentation forums called Info Cells for communicating dance, exchanging ideas, and expanding perspectives. There was also a Late Night Meeting Point talk, where the dance distributors could gather and exchange opinions and swap information after the day’’s performances, as well as More, More, More, a forum for presentations on the experimental projects of young dance professionals that screened for 15 minutes each, for a total of one hour. Out of the three necessary elements of a performance—the performer, audience, and distributor—this particular event was very much geared towards the distributor. There were about 300 dance-related professionals from about 40 countries all over the world there to see northern Europe’’s performances, chosen through a competitive 10:1 process, and also to place the festival on its exchange list. This group, which mostly consisted of planners and distributors, demonstrated a very hot enthusiasm for the event, paying for their own lodgings as well as for the EUR 85 participation fee. This speaks volumes about the importance of the event. The dance companies and groups selected for this event surely had a determination and passion that set them apart, as the seats of each of their shows weren’’t just filled with an audience but with culture gurus. 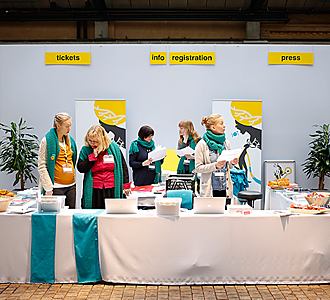 The ground floor of the Theatre Academy, which was acted like the headquarters of the event, had a never-ending supply of pamphlets and DVDs advertising each dance company, truly bringing the event’’s purpose to life. As ICE HOT is held only every other year, the festival recorded an increase in organizations applying to participate in its second year. But out of a total of 200 submitted performances from the five countries, only 21 performances were selected. The performances, which three globally-acknowledged top dance professionals from around the world selected together, deviated from most of the typical trends in the US or western Europe. Because Ahn Aesoon of the Hanguk Performing Arts Center acted as one of the three judges, the status of Korean dance was especially acknowledged. 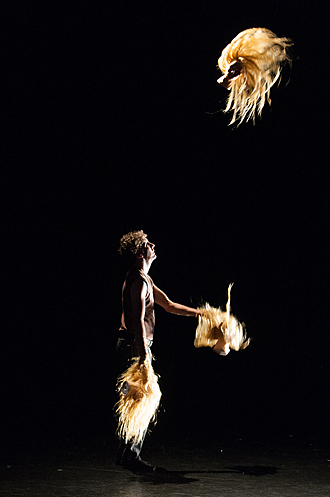 Besides Director Ahn, Andre Teria Ult, art director of Berlin’’s Tanzimmergeist, Eduardo Bonito, director of Brazilian dance festival Panorama de Dança, and other globally leading dance professionals judged the performances— and this festival displayed them in their full glory during the four days of its running. The main dance companies selected included Finland’’s Liisa Pentti + Co, Eeva Muilu, Milja Sarkola, and Helsinki Dance Company; Sweden’’s Eva Ingermasson Dance Production; Denmark’’s Marie Topp and Kitt Johnson X-Art; Norway’’s Winter Guests and Carte Blanche; and more. Three dance troupes will be performing at the opening ceremony; a familiar dance troupe that had toured in Korea previously, the Tero Saarinen Company, will be in the lineup along with two other groups, for a total of three. The others are Susanna Leinonen’’s dance troupe and , as well as the Karttunen Kollektiv. 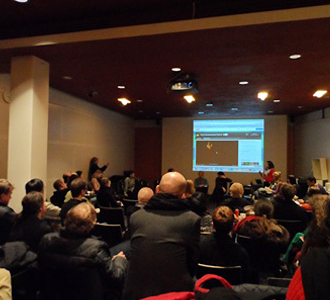 The Korea Arts Management Service introduced its superlative project, the Korea–Finland Connection, at the forum-like Info Cell session at ICE HOT. Through the Seoul Art Market, the Korea Arts Management Service has expanded the multifaceted channels of its international exchange since 2007, and from 2009 discussions on how to collaborate with Finland began in earnest. Beginning in 2010, Finland participated as a partner institution in the Korea–Finland Connection, which was part of the KAMS Connection business. Since then, three years ago, the Korea–Finland Connection has been demonstrating rapid growth. For both parties involved—the Korea Arts Management Service in Korea and Dance Info Finland in Finland—the idea was to vitalize collaborative projects between dance professionals from each country. 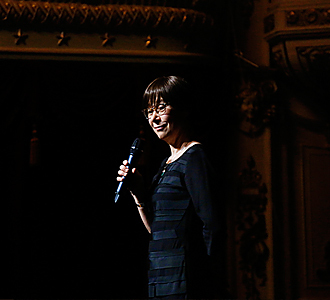 According to what presenter Euna Im said that day, after jointly appointing seven experts in the field (whether dancers, choreographers, planners, festival directors) from each country, the seven Finnish dance professionals came to Korea in 2010 and participated in a research workshop with the seven Korean dance professionals. In 2011 they once again nominated seven experts in the field and participated in the Helsinki Festival in August, this time with the Korean dance professionals visiting Finland to take part in various research programs. Both countries were proactive about participating in research programs; in October the Finnish participants participated in the Seoul Art Market. In April 2012 three of the numerous research projects over the course of two years underwent an adjudication process, and these three projects were designated superlative projects. The Korea Arts Management Service then covered the Korean participants’’ fees for the development of the three projects, and of these Dance Info Finland matched the amount to provide financial support for the Finnish participants in one project. Besides the above, the jointly created Korea-Finland Double Exposure is also seen as another example of success. 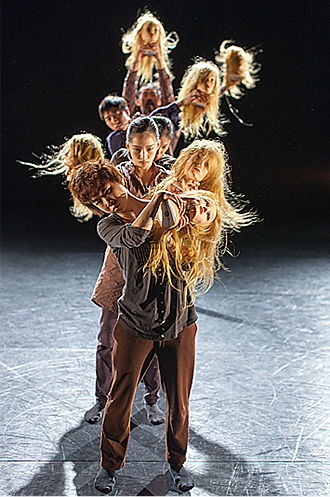 Double Exposure is the first collaborative performance from Korea’’s Sungsoo Ahn Pick-Up Group and Finland’’s visual theater group WHS. The collaboration began on October 13, 2012, at the Seoul Arts Center’’s Jayu Theater with Sungsoo Ahn’’s choreography and a juggler from WHS, Ville Walo, who performed with the members of Sungsoo Ahn’’s Pick-Up Group. The Stoa Cultural Centre in Finland provided the practice space and paid for the lodging. 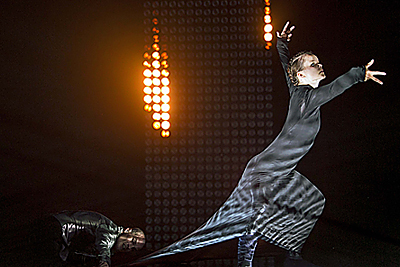 The Finnish debut of this collaboration was in August at the Helsinki Festival (August 18–22), debuting in Seoul a month later at the Seoul International Dance Festival in October—precisely October 13, at the Jayu Theater of the Seoul Arts Center. 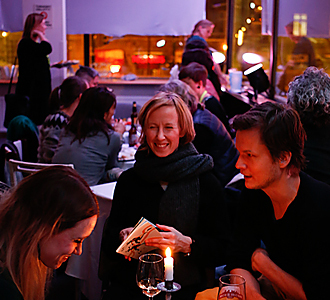 Northern Europe is relatively lesser known than Western Europe to the Korean performing arts world, but it’’s aggressive about cultural exchange with other countries and has an active funding market. The Korea Arts Management Service has been maintaining collaborations with other countries and is currently enjoying a vigorous relationship with one of its most enthusiastic partners, Finland. And international exchange and communication as keywords for international collaborative enterprises are important, in this day and age, for their own sake, as well as important tasks for the performing arts industry. International cooperative enterprises, where international exchange and communication feature prominently, are central to the mission of Korea’’s performing arts sector, and as such, KAMS’’ Finland-related programs carry significant meaning. In-hwa RHEW is currently working as an editorial writer at the Kyunghyang Shinmun, a Korean daily newspaper. She entered the industry in 1982, flitting from the society department and sports department before settling on culture in 1988. In 2004 she began writing on dance, and today she is the chair of an organization that critiques Korean dance, as well as professor at Sungshin Women's University, tasked with the assignment of constantly asking where Korea art and dance are now. Her books include Dance and Them and The People Yun Seok-hwa Met.